Spring will officially be here on March 20th. If you own a pub or bar, this is a fantastic time for you. Due to the lighter evenings people have more opportunity after work to socialise and go out. Now all you have to do is draw them into your business. Although refurbishments can sometimes be very big jobs, they don’t have to be. You could give your business a revamp by simply touching up the walls, or you might want to completely repaint them, a new colour could entirely transform the look of your establishment. Maybe you want to brighten the place up for Spring? If the outside of your business can also be painted, make sure you don’t disregard this, you might be giving people the impression that the premises is rundown and unkempt if you don’t top up the colour after a cold and harsh winter. Have you got an outdoor seating area? If so, you need to pay close attention to it. Hire a gardener to get rid of any overgrown areas and plant some new flowers ready for the warmer weather. 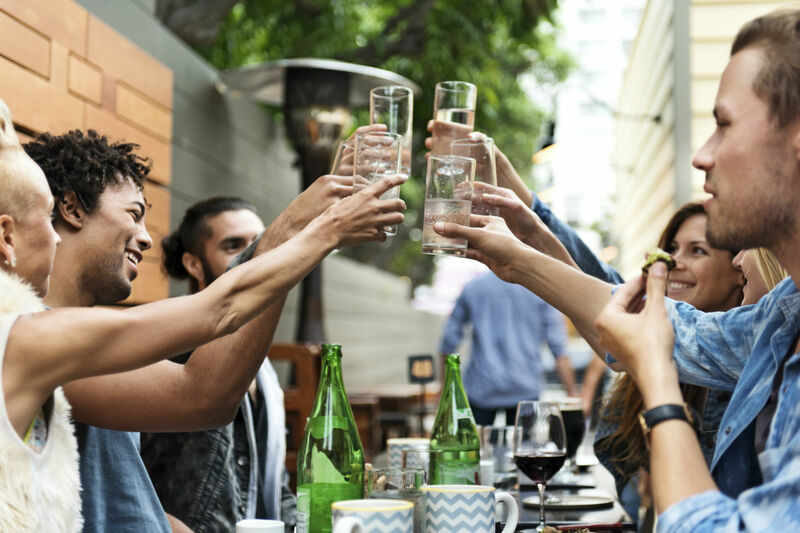 People love making the most of Spring and Summer by sitting outside so by providing a nice, clean and attractive drinking and dining zone they will have more of a reason to visit your business during these seasons. You could also build a BBQ area on the patio for those really hot summer days, this could also come in handy for when you host special events. (See the events section below). The look and feel of a hospitality business is so important. Go and inspect what state your furniture is in. Lots of people will be regularly visiting your business which means chairs and table surfaces can get warn. You could purchase some new fixtures ready for the Spring months to make your businesses presentation better. Or, if you don’t have the money to spend on getting all new things, why not have your existing furniture renovated instead? A small change can go a long way. Have you ever thought about hosting events in your pub or bar? Why not put on an exclusive festival feel day? You could offer deals on fruity ciders and beers as they are summer favourites. Give people a specific reason to leave their house and come out to your establishment. Festivals seem to be increasing in popularity meaning tickets are often hard to get hold of. People who would love to go to one but for whatever reason can’t may instead enjoy the opportunity to ‘fake it’ with their friends at your premises. Get some live bands to play and Voila! You’ve got the whole package. Beer is a favoured drink of many in the spring and summer months. You should put on a tasting event so people can come and try new flavours and local produce whilst sitting in the warm sunshine. If your business doesn’t have anywhere for guests to sit outside, don’t be disheartened because there are plenty of things that you can still do. You could offer an extended happy hour- by putting on deals and offers you will find people flooding in. At this time of the year, individuals will be much more willing to stay out late knowing they can walk back home in the mild nights rather the cold and rain. Quiz nights are also a great way to keep customers coming back time and time again. Marketing and advertising is crucial for any business to do, especially during busy times of the year. If you do decide to host events at your pub or bar, make sure you advertise them. People need to know what’s coming up way in advance so they can plan their evenings and weekends around them! Make sure you post everything you’re doing on social media and use the ‘event’ feature to get people’s attention. You could also put posters up in your windows to inform those walking by. If you ticket events, then you will make revenue before you have even sold a drink. Be sure to advertise your opening times, people need to know what time you serve delicious food, what time you will open in the mornings and what time you close at night. Will they be spending the whole evening partying or do they just want to nip in for some food? Okay so nobody EVER gets away with drinking on a Sunday, especially with a 7am wakeup call on Monday morning. However, with the bank holiday approaching, you have a chance to make this happen for people. Why not put on a special event featuring up and coming musicians and advertise any great deals you’re going to offer. Draw people to your pub on an evening where you wouldn’t usually have much custom and you will reap the benefits. Make sure that however you choose to promote your unique night, it’s an attractive option to take- you need people to be excited about what you’re offering. If you would like to raise any finance to help you pay for a refurbishment, events or marketing and advertising, Capify could raise you from £3,500-£500,000 within days of applying. Call 0800 151 0980 today or get a quote here.